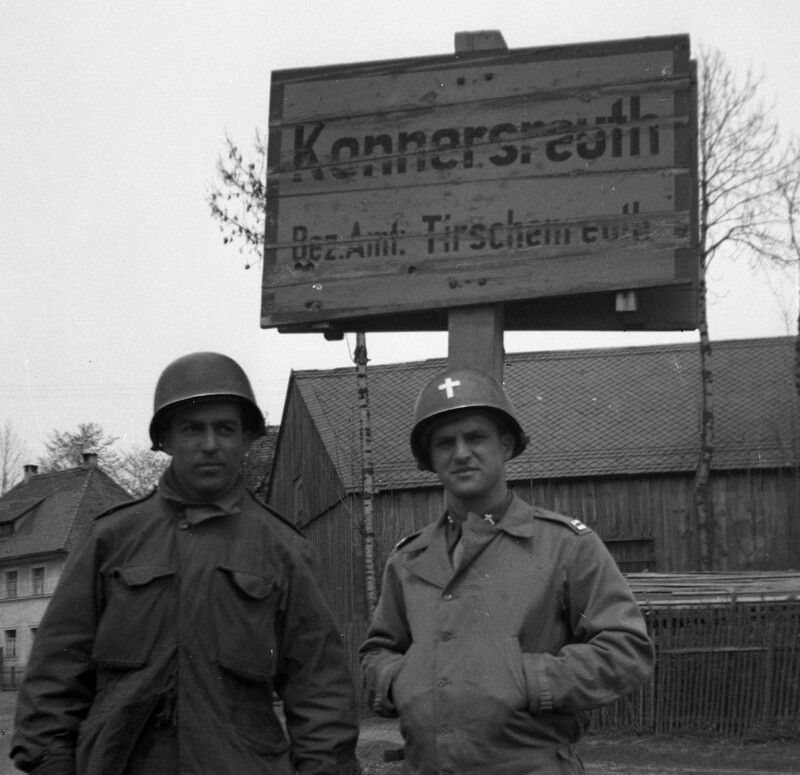 As I sift through a recent WWII negative acquisition of 600+ images taken by a Catholic chaplain of the 9th Armored Division, I couldn’t help but post the following series of shots taken somewhere near Regensburg Germany. 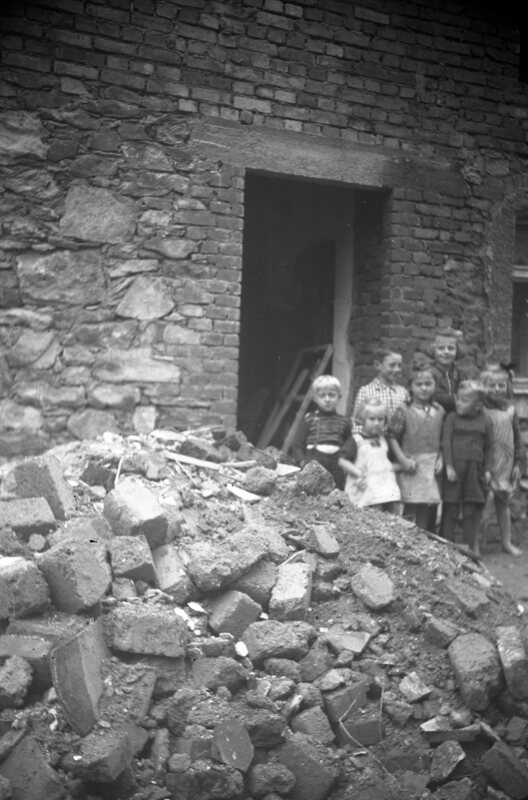 They show a group of German orphans standing in the rubble of a demolished building. 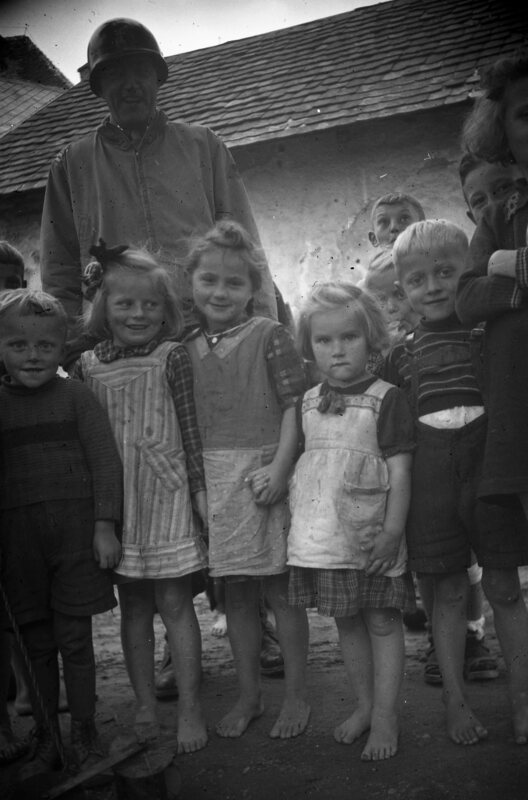 The happy smiles belie the true sadness these children must have felt as they lost their families. May I have your permission to include a link to this web site and also may I post your top photo on my upcoming blog about war orphans of WWII? Please do! Sounds like an interesting post. I have MANY more that I haven’t put on the site.